The Ministry of Foreign Affairs of Cuba (Minrex) has rejected on Saturday the decision of the United States Government to reduce from 5 years to 3 months, with a single entry, the B2 visas that are granted to Cubans in order to act in reciprocity to the Validity period granted by Cuba to American travelers. For Havana this is a way to increase "the obstacles for family visits and for other purposes". The Minrex responds to the announcement of the US embassy in Havana that from next day 18 will reduce the validity of the B2 visa to a maximum of 3 months and a single entry. Until now, these visas, granted for family visits, tourism or to receive medical attention, cost 160 CUC and allowed multiple entries for 5 years. For the Cuban Foreign Ministry this visa reduction "is an additional obstacle to the exercise of Cuban citizens to visit their relatives in that country." In the opinion of the Government of Cuba, this US decision it is added to the closing of the services in the American Consulate in the Island; the interruption of the granting of visas to Cubans in this diplomatic headquarters and the transfer of these services to third countries "without guarantees of granting visas". 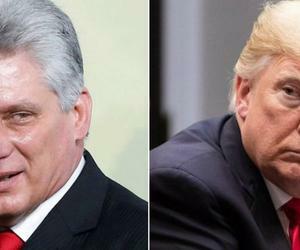 Also to the fact that in 2018, for the first time, the Trump Administration failed to fulfill the commitment acquired in the Migratory Agreements between both countries to grant 20,000 visas to Cubans. From the Minrex also ensure that the restriction of visas B2 "imposes high economic costs to family travel and exchange in multiple areas." Havana denies that this decision was taken under a criterion of reciprocity and argues that "Cuba offers all the facilities for US citizens, from any country in the world, to obtain a visa that is issued at the time." "If the United States really wants to apply reciprocity, it should immediately open its Consulate in Havana, resume the process of granting visas that it arbitrarily and unjustly interrupted more than a year ago and eliminate the prohibition for US citizens to travel freely. to Cuba, "the Minrex adds in a statement published by the newspaper Granma. From Havana they reiterate the "will to continue working to guarantee the growing flow of travelers in both directions in a regular, orderly and safe manner". The Foreign Ministry does not allude in this note to the obstacles that the Government of the Island places on Cubans who are prevented from leaving or entering the country.